As promised, this is a bit late in getting posted but I still got it out today. I decided to make this a series review and just include what I’d said of the first book. Synopsis: Eleven-year-old Nicholas Vargas only thinks his life has been turned upside down after his developer father remarries and moves his new wife and daughter into the soon-to-be completed Mangrove Hollow. 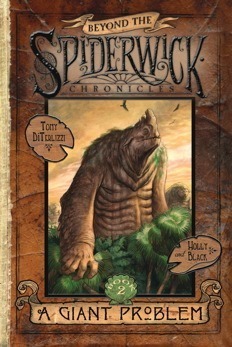 But an “expedition” to a nearby lake turns up a little nixie with a giant problem – the huge, lumbering, fire-breathing variety – and it’s up to Nick; his stepsister, Laurie; and his big brother, Julian (plus a familiar face from the original Spiderwick Chronicles) to figure out the best way to stop a host of rampaging giants before all of Florida goes up in smoke. 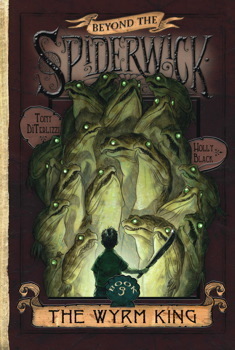 Recommendation: This book is recommended for younger readers. This is a short little easy read. I enjoyed it. I thought it got surprisingly dark at the end, it wasn’t bad it just surprised me is all. 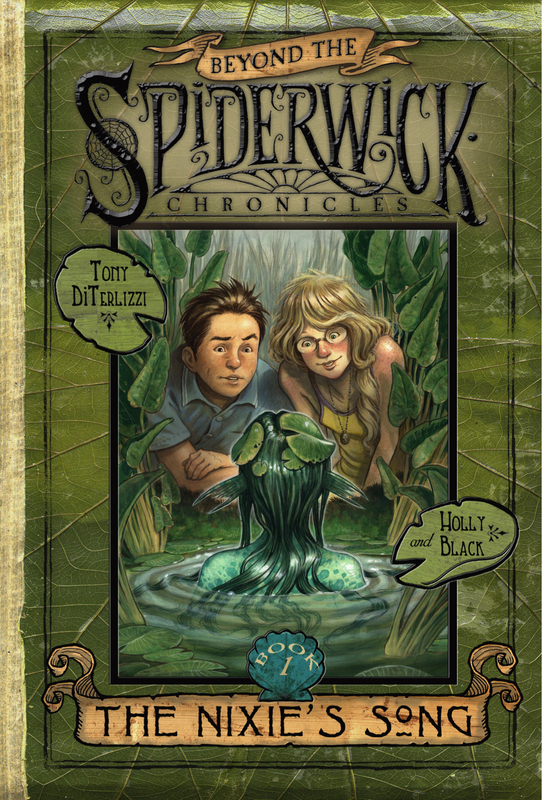 The story is about magic and whimsy, but there is that serious edge similar to Fablehaven. The characters are pretty good. Nick and Laurie are step-siblings and are only just starting to get to know each other. They each filled there role pretty organically so that was nice. I’m glad that the MC’s from the main series made an appearance. It provides continuity but I think it might be leaning a bit too heavily on that. I would have liked to have seen less of them. The plot is simple but ends up with that dark edge I spoke of earlier. Very cause and effect, but with enough wiggle room for discover and exploration. A bit too short for my taste, even in a children’s novel. 25-50% larger would have fleshed things out a bit more but still kept up the pacing. When I first read this, I really liked it. However, now that I’ve finished the series I realize it’s pretty much filler. The “Giant Problem” is “resolved” only to find out that they were the lesser evil and the greater one could doom them all. Then spend half the next book trying to undo what they did. Ugh! Another thing is that Julian, Nick’s older brother, goes from a supporting character to a secondary character. Plus his girlfriend. They’re decent characters but they each took page space that I don’t think contributed anything meaningfully to the story. The best part was that Jared, Simon, and Mallory pretty much weren’t in it. I’m left unsatisfied with this ending. There was plenty of action and the situation was dire…….but it felt like fireworks when it should have been cannons. I loved how the giants and other creatures were handled with their cyclical and co-dependent behavior. It also highlights and explains some natural phenomenon. For continuing the world, it did very well. However, it wasn’t that great as a standalone series. I would encourage anyone who’s interested to start with the main series first before moving on to this one. I watched the movie. How does that stack up against the books? The movie isn’t as good as the books in almost every way. The pace being almost frantic in the movie. It blundered through the best parts.